A lot of people choose not to use coupons because they think their coupons will quickly become a messy jumble in their purse or wallet. That’s a shame! 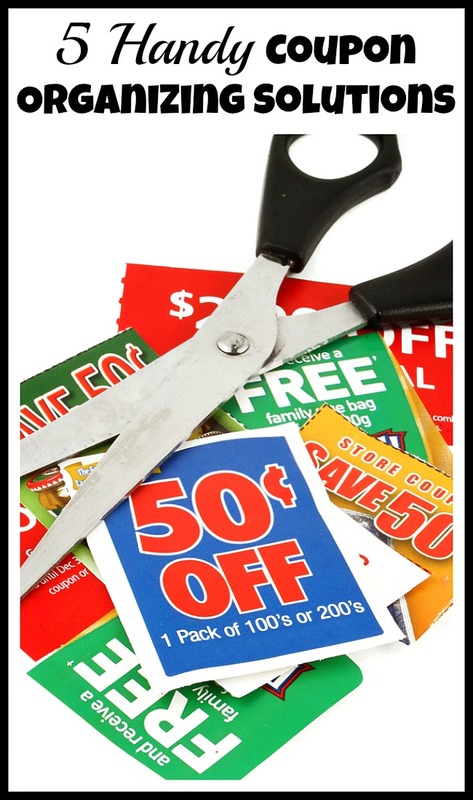 Not only is couponing a great way to save hundreds every year, but coupons are actually really easy to keep organized! 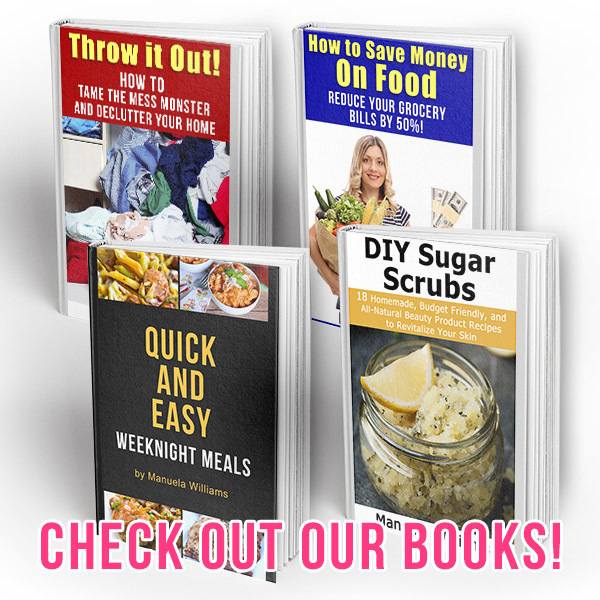 All you need is a simple coupon organizing solution, and you have several different options to choose from! 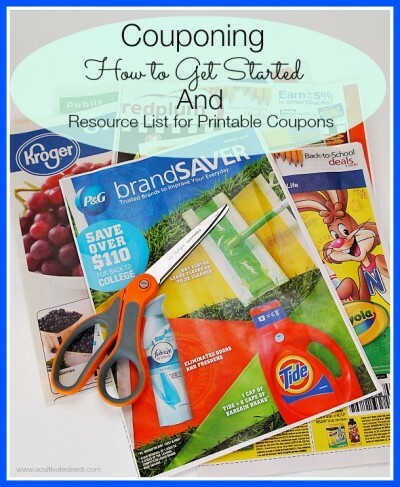 Take a look at these 5 Handy Coupon Organizing Solutions and get your coupons in order! Some people nowadays are choosing to forgo traditional couponing and just use mobile rebate apps like iBotta (referral link) instead. Unfortunately, if you go that route you’ll be missing out on a lot of great coupons! I think the best thing to do is to use both methods- clip paper coupons and use rebate apps. 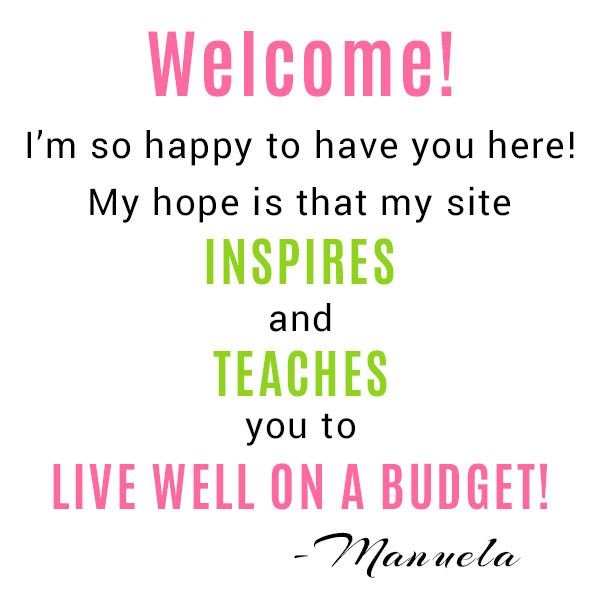 That’s what we do, and we save a lot on each shopping trip because of it! This is the method I’ve been using for years! All you need is a little coupon wallet and some labels or tabs to label each category with. I like this method because it’s the perfect size for carrying coupons and also fits easily into my purse or into the front basket of a shopping cart! 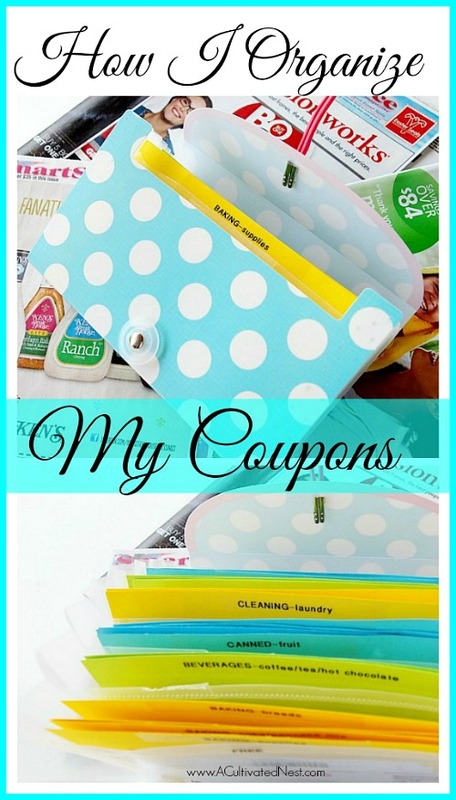 Take a look at how I organize my coupons with a coupon wallet! 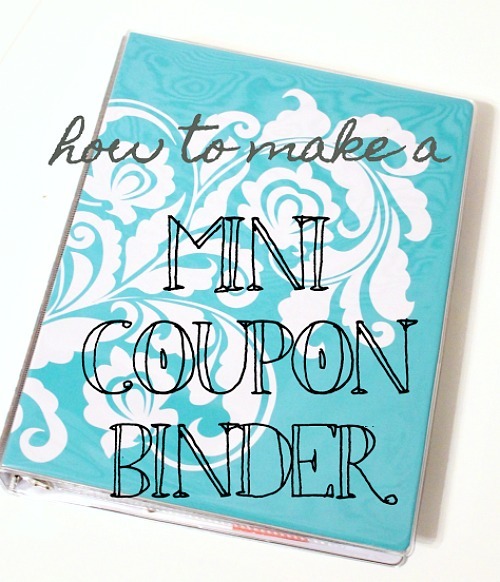 Another coupon organizing solution you may want to try is using a mini coupon binder. The benefit of this method over a coupon wallet is that it’s easier to flip through and see what coupons you have, but yet it’s not as big as a full binder. 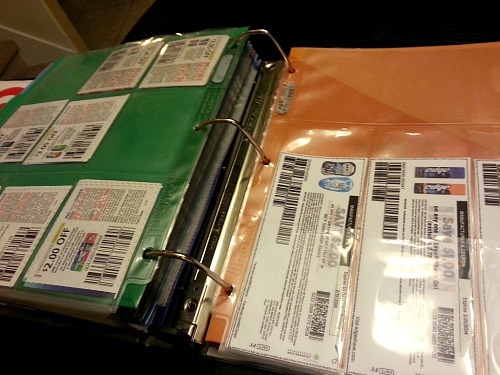 Check out how Well Groomed Home put together her mini coupon binder! If you don’t mind a bigger coupon organizing solution, or if you just plan to keep your organizer at home and carry loose coupons to the store with you, then you may like using a regular full-size binder. With a big binder like this, you’ll have plenty of space for all kinds of coupons! 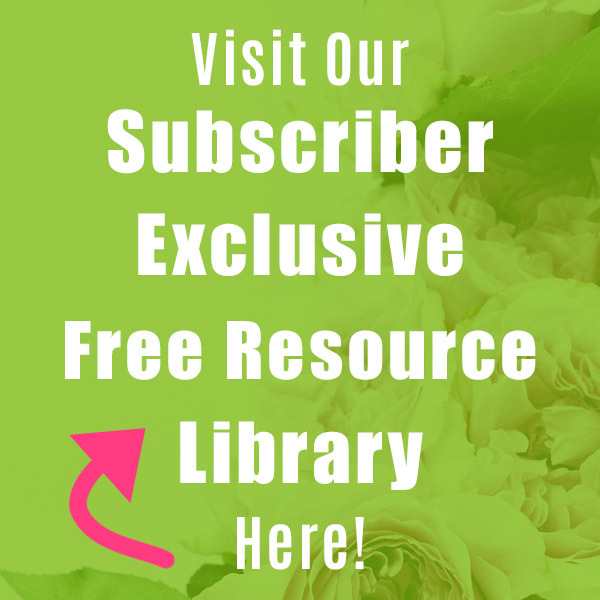 Take a look at Tiny Tips by Michelle’s coupon binder organization! 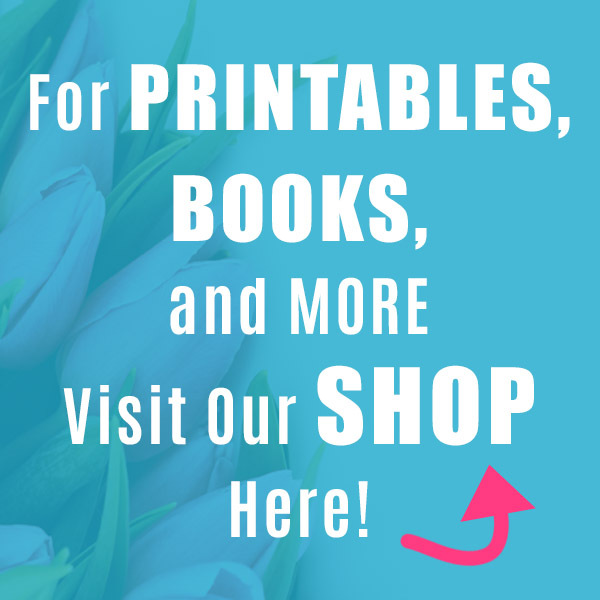 Yet another coupon organization method you may want to explore is using a mini photo album! Some of these don’t have space for 100s of coupons, but if you’re not an extreme couponer that’s probably just fine! Check out how I Heart Planners organizes coupons in a mini photo album! A totally different coupon organizing method you could try is using your smartphone and a coupon organizing app! While most coupon apps require you to use the app’s database to find coupons, SnipSnap allows you to photograph actual paper coupons that you have! The only con of using SnipSnap is that at the moment it doesn’t support manufacturer coupons. But it’s still plenty useful without that feature, and I’m sure it’s one they’ll add in soon enough. SnipSnap is available for both iOS and Android.